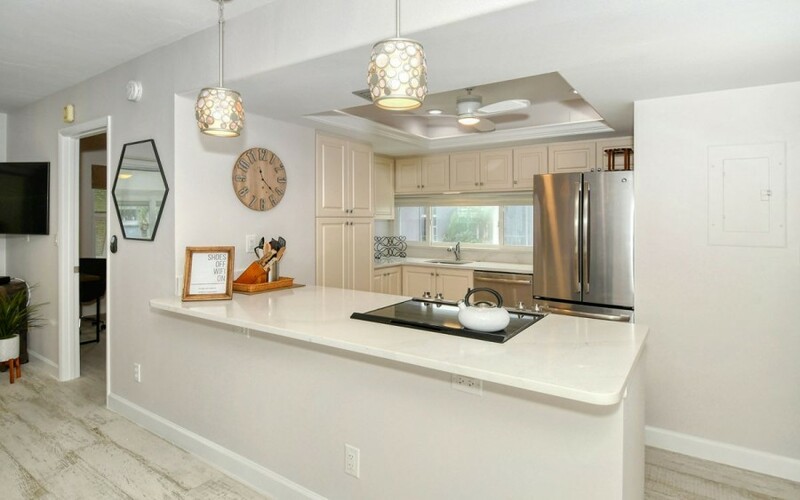 Rent this bright and very light Gulf side unit. 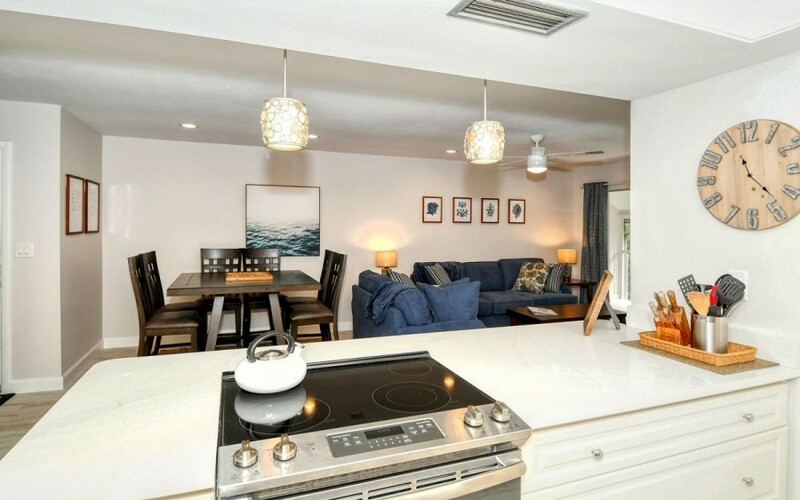 The 2nd floor condo is open and inviting with a cozy living area. 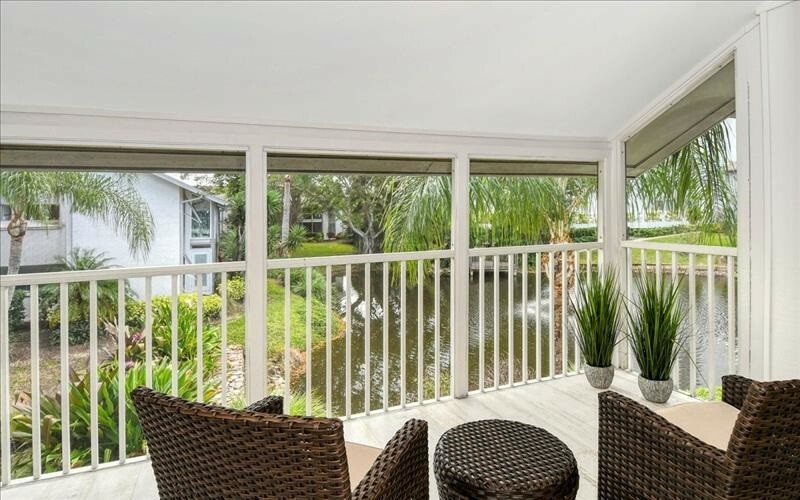 Sliders open to the lanai with a nice view of the fountain and pond. Lanai has a table and 4 chairs along with lounge chair. Kitchen is well stocked with a pass thru window into living room area. Guest bedroom has 2 twins beds with new memory foam mattress. Please contact me with information regarding Gulfside Small Garden 2nd floo.